John’s reply usually goes something like this: “You cannot achieve what you have not defined.” John’s response is designed to help the questioner begin the journey to discovering his or her purpose. John says this because he has learned from experience that the problem for most people who want to be successful is not that they can’t achieve success; it’s that they cannot define their purpose. That’s challenging for many of us, because we often picture success as looking like someone else. We find ourselves pursuing the wealth of Bill Gates, the intelligence of Albert Einstein, the athletic ability of Michael Jordan, or the imagination of Walt Disney. When becoming someone else is our picture of success we eliminate the possibility of becoming who we are meant to be. So how do you discover your purpose in life? How do you discover the person you were created to be? 1. What am I searching for? All of us have a strong desire buried in our hearts, something that speaks to our deepest thoughts and feelings, something that sets our souls on fire. Searching for that fire will bring perspective that will help you establish priorities. 2. Why was I created? Think about your unique mix of abilities, the resources available to you, your personal history, and the opportunities around you. If you objectively identify these factors while considering the desire of your heart, you will be well on your way toward discovering your purpose in life. Each of us is different. No one else in the world has exactly the same gifts, talents, background, or future. That’s one of the reasons it would be a serious mistake for you to try to be someone other than yourself. 3. Do I believe in my potential? To reach your potential, you must first believe that you have it. If you don’t believe that you have potential, you will never try to reach it. And if you aren’t willing to work toward reaching your potential, you will never be successful. 4. When do I start? To put it simply—NOW! However, this seems to be the most paralyzing question for many people. Some people never try to discover their true purpose for living. They live their lives from day to day allowing others to dictate what they do and how they do it. Others know their purpose, yet never act on it because they are waiting for inspiration or an invitation to get started. They don’t realize that the most dangerous temptation is delaying your discovery of purpose. Here’s the bottom line: If you don’t understand your purpose, you cannot be successful, because success begins with purpose. I believe that God created every person for a purpose. I also have come to know that it is our responsibility—and our greatest joy—to identify it. Work to discover your purpose. Don’t wait; start today! 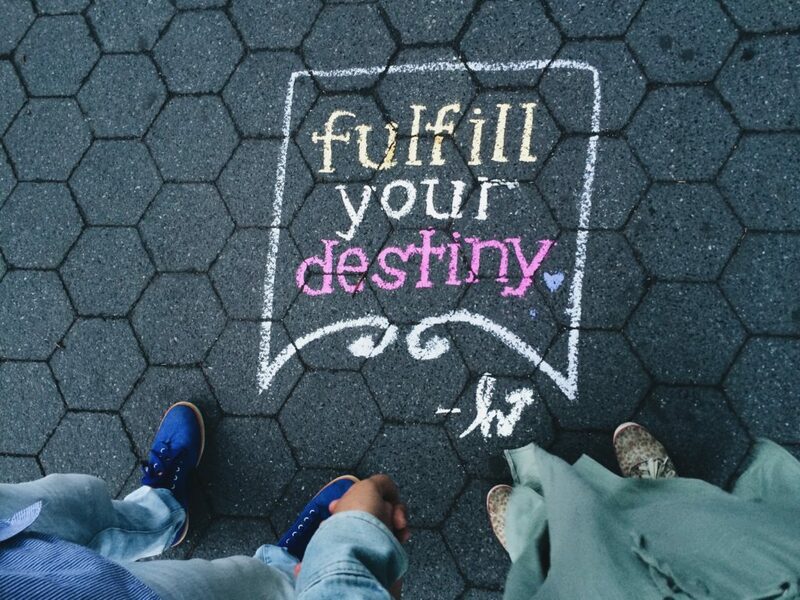 You will find the fulfillment and success you want in life. Courage gets you in the door, determination keeps you in the room. Knowing your purpose, having a direction for your life, and understanding your values and what is really valuable in life will lead to the path of success. A foundation of faith and understanding the role of grace keep us in the race of life. Great article. Thanks for the push this morning. This read was inspiring ! This article lets each one of know that success is defined by different people in different ways. We have to determine how we define success then seize upon the opportunities that come our way. Good reading and inspirational one! It is very useful information also inspirational blog. I am such a huge fan of Mr. John Maxwell. This is also such a beautiful piece. Was excited to see that my photograph has been used on his blog, ahhhhh! Such a fan, and more power! It’s a great photograph, Danica! Thanks for putting it on Unsplash so we could find it!